this Wikli overslept, so pardon the shortcuts! This Wikli overslept, so its theme is "Keep It Simple". Harry Potter and the Half-Blood Prince continues for another week. On Facebook? Join the Columbia City Cinema group. Just another great way to stay on top of all that's happening at Seattle's Coolest Neighborhood Cinema. The season is halfway over — time sure flies when you're eating good food! Come enjoy this week's farm fresh bounty, which will include early sweet corn, summer squash, and tart crisp summer apples. Like last week, there will also be a variety of sweet and juicy berries, cherries, apricots, and peaches. Please join us as we roll into the second half of our market season. Also, the first 100 customers who show us their Orca Cards, Flex Pass, or Light Rail ticket receipt will receive a free reusable shopping bag! See you at the market! Play and Learn Thursday July 23rd from 10:30am to 12pm. Grupo Bilingüe de juegos para padres y cuidadores con niños entre las edades de nacimiento hasta 5 años. / Bilingual play group for ages birth to 5. Preschool storytime Friday July 24th from 10:30 to 11am. 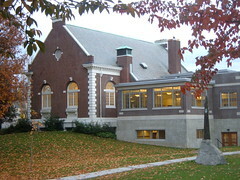 Bring your preschoolers to enjoy stories, rhymes, songs and fun with our children's librarian. Hands-on Henna Tuesday July 28th from 1-2 pm. Create and wear great looking art! Discover this beautiful form of body adornment and learn about the fascinating history and traditions of henna with artist Krysteen Lomonaco. For ages 6 - adult. Not suitable for large groups such as day cares or summer camps. The Light Rail is Coming!!! The Light Rail is Coming!!! That's what Paul Revere would be shouting down Rainier Ave if he were alive today. 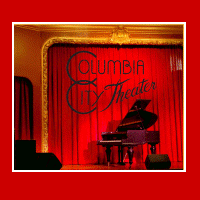 Even without all that excitement, this is a great weekend to stop by the Columbia City Theater. We have Tamara on Saturday night and Seattle's best open mic night with Martin G. Sunday night. So stop on by and say hi. Pieces of Us: Opens this Thursday @ RVCC! In 2009, RVYT partners with Native American Youth Theatre to present the NW Premiere of this contemporary, abstract play by our country's foremost Native American playwright, William S. Yellow Robe, Jr. (Assiniboine). Pieces of Us: How the Lost Find Home is an intensely contemporary theatre piece that explores Native identity and mixed heritage through the psychological journey of main character Adam. This wry, poignant play casts a sharp look at the institutions, people, and legacies that help and hamper a Native reclaiming his heritage. The all-teen cast rehearses for six weeks to present this challenging work, which also features video and multi-media projection art by Native Lens and Longhouse Media. We have set the final inspection date as Thursday, July 23rd, and hope to be open at noon! We are VERY excited to bring our own fresh ice creams, including many vegan options, as well as some great old-school pinball machines and vintage video games. We make our own root beer, and will also be selling a few choice microbrews in bottles. Our address is 5101 Rainier Avenue South, #105. 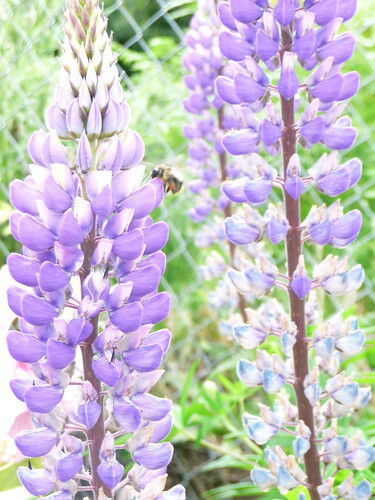 We are a 1/2 block south of Hudson Street and Tutta Bella, on the Busy Bee side of the street. There is a parking lot just beyond LEMS bookstore, and before Tina Nails. You will find us in there. Thanks for being patient, we look forward to serving you! 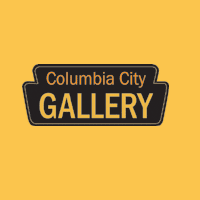 Submit your entry for the Columbia City Gallery's 4th Annual Juried Exhibit by next Friday, July 31st. Artists in all media are encouraged to submit artwork which reflects the theme "touch". For a $25 entry fee, applicants may enter up to 3 pieces for consideration. Download the call to artists and application at ColumbiaCityGallery.com. 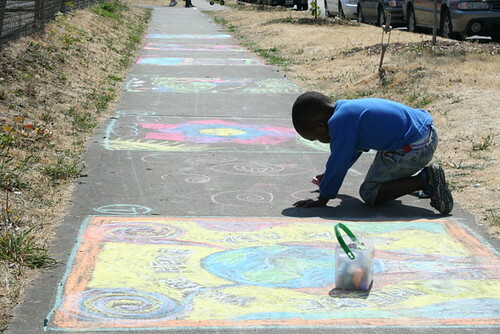 Kids: Enter the Summer Streets coloring contest! The Rainier Valley Heritage Parade & Summer Streets Festival is coming up on Sat., Aug. 8, and to celebrate, coordinators are inviting local kids to enter the commemorative coloring contest by illustrating answers to the question, “What do you like best about the Rainier Valley?” Find more info and official entry form here. All submissions will be on display at the Rainier Chamber of Commerce (5290 Rainier Ave. S.) from Aug. 7 through 21, and prizes will be awarded for 1st, 2nd and 3rd place winners, who will be notified by phone. Winning drawings will also be posted at Rainier Valley Post. In our Main Gallery, '(de)construct' features new art by gallery members Eric Edgerton, Sarah Lavin, Joan Robbins, and David Chula Tupper. In our Guest Gallery, 'A Chapter in Human Trafficking: Cambodia' by Tim Matsui, whose photographs document the complexities of human trafficking and exploitation in Cambodia. Tim Matsui will give a presentation about his work in Cambodia on Wednesday, July 29th at 7pm in the gallery. Everyone was atwitter and ablog at Light Rail opening weekend. That includes the local media, where Columbia City got several mentions. Light Rail and Columbia City, via pedicab, in the PostGlobe. The Cinema's Paul Doyle is resurrecting the Seattle Book Fest. Citizen Nicole Brodeur grapples with her transportation choices. Seattle Magazine lists the CCC among the best places to see Harry Potter. The Times finds more parking malcontents. More are underway. If you'd like help setting up and coordinating a page, just ask. The Not-Its! updated their profile in neighbors. They've got a CD release party this Sunday at the Columbia City Theater. Pick fruit! Share it with others (and take some home)!